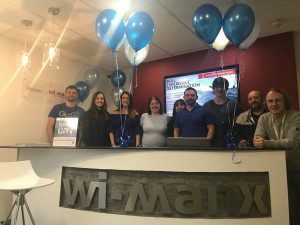 A huge amount of money was raised on Friday (November 9th) for Blue Day and Wi-Manx launched the appeal with a £500 contribution. The fundraiser day which was led by Wi-Manx, was held to help local charity Crossroads Care raise money towards its £30,000 target as a celebration of its 30th anniversary. The day saw a number of participants from across the Island take part by wearing blue and holding fundraisers of their own. 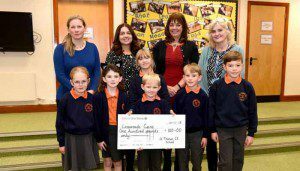 Participants included schools, businesses and other organisations. In addition to this, the capitals Tower of Refuge, Town Hall and street lights were all changed to blue on the day to fit with the theme.